There are a number of reasons to use computer-based simulation in human-robot interaction research. Most predominant is the assessment of humanin-the-loop interactions for robotic technologies that do not yet exist, are in prototype development, or are in early test and evaluation stages of development. In these cases, simulation can provide insight into how the human may interact with the real world robotic vehicle. However, there are a number of challenges to designing and developing these simulations so that findings translate to interaction with real-world systems. 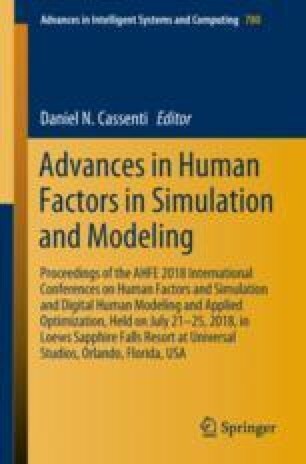 This work specifically looks at the incorporation of human factors into driving simulations for robotic military vehicles. Three use cases address a number of these challenges. The views and conclusions contained in this document are those of the authors and should not be interpreted as representing the official policies, either expressed or implied, of the Army Research Laboratory or the U.S. Government. The U.S. Government is authorized to reproduce and distribute reprints for Government purposes notwithstanding any copyright notation herein.